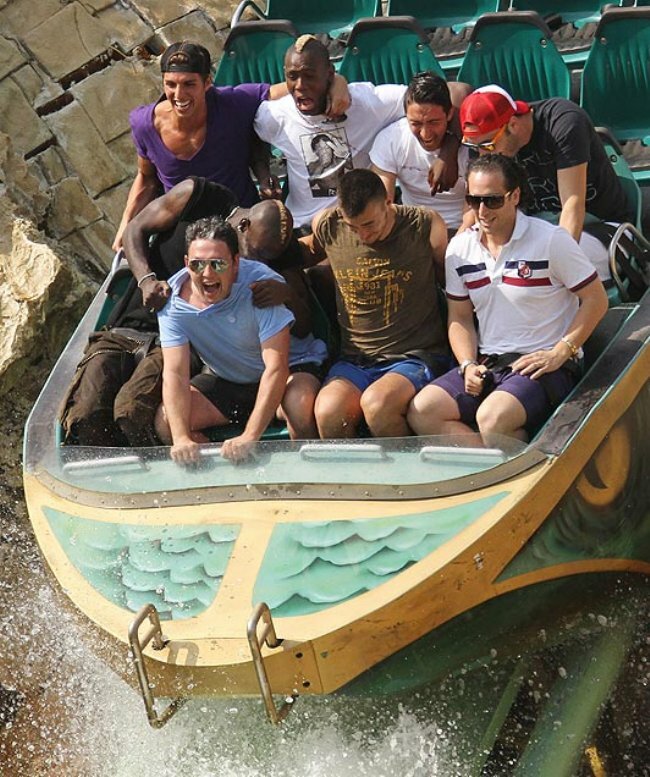 Snapshot: Mario Balotelli Wusses Out On The Big Bad Log Flume! What a pansy! 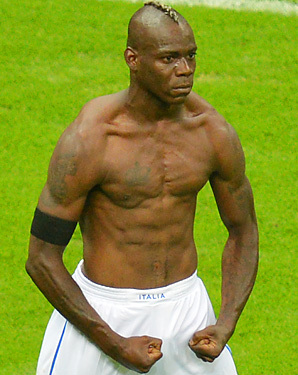 Where’s this guy gone? Err, on second thoughts… maybe not. It’s hard to see if they’re wearing some kind of restraint or not. I think the restraint’s across their crotch..a black harness sort of thing..
Other guy with the blonde mohawk is his brother Enoch. They’re always together. Thanks for the info. I thought it was a wannabe at first! Although Im sure he still is. Is that Cesare Prandelli bottom right? Cool as a cucumber. Or passed out already. Can’t tell behind the shades.